DDG is proud to announce that the DDG-designed, Mall of Istanbul, has won the 2017 VIVA SUSTAINABILITY AWARD. Our client, Torunlar REIC from Istanbul, accepted the award during a ceremony held at this year’s ICSC RECon show in Las Vegas. Congratulations to our client and our talented design team! The Mall of Istanbul spans more than 162,000 square meters/1,742,000 square feet. Phase 1 includes four residential blocks, offices, a mix of entertainment and dining options, and a shopping center with 350 retailers. The LEED Gold Certified center incorporates skylight roofing, a greywater drainage system, and a 90% usage rate of LED lights. Five separate atriums offer excellent connectivity to the wide mall galleries and provide an abundance of natural light in which to visit the center’s impressive offerings. 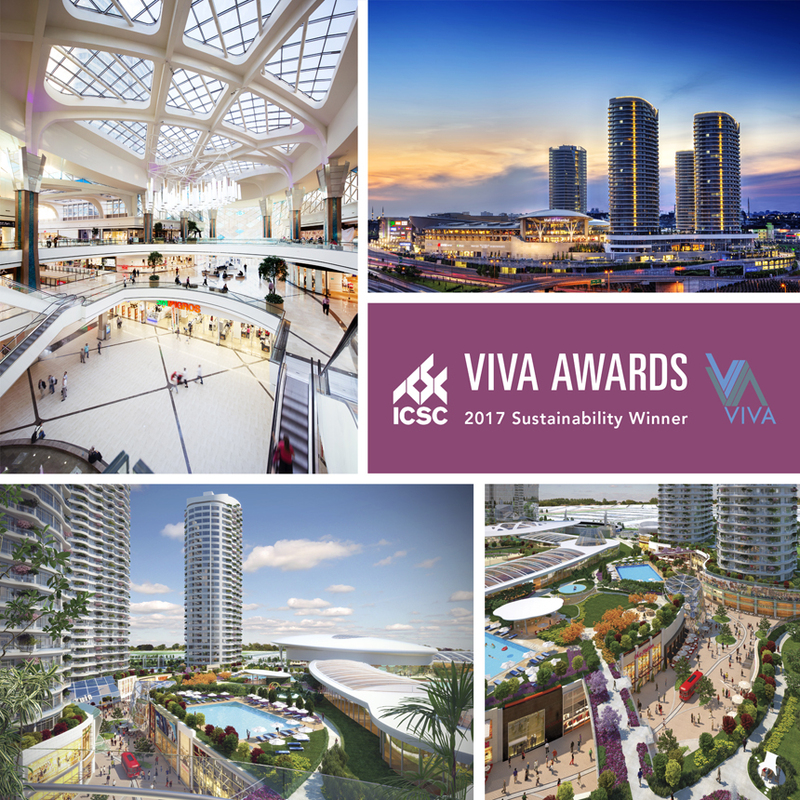 ICSC’s VIVA Awards honor and recognize the world’s most outstanding examples of shopping center marketing, design and development, sustainability, and community service. For more information on the VIVA Awards program, please visit www.icsc.org/globalawards.